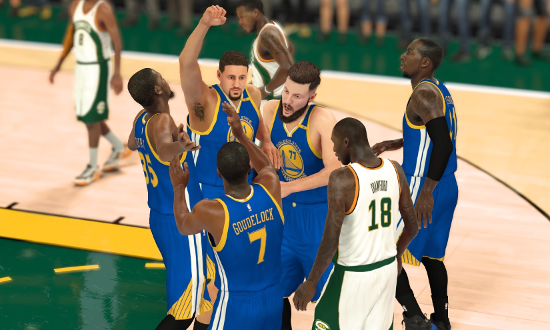 The Sonics are now within one win of advancing to the NBA Finals, after defeating the Warriors 127-113 in Game 5. Otto Porter brought out his best game, tallying 34 points and 9 rebounds against the regular season’s leading scorer, Kevin Durant. Patrick Mills also had a great game against a former MVP, as he had 20 points and 8 assists against Stephen Curry. Luc Mbah a Moute (14 points), Dion Waiters (11 points) and Tony Snell (11 points) all had minor contributions off the bench, while Andrew Nicholson added 10 points. Even though Porter and Mills gave them everything they had, Stephen Curry and Kevin Durant gave as good as they got. Curry put up 29 points, 8 assists and 4 steals on the night, while Durant had 27 points and 8 assists. Klay Thompson was inefficient from beyond the arc - only hitting 1-5 – but still managed 18 points off 8-16 overall from the field. Joffrey Lauvergne (16 points, 9 rebounds) and Draymond Green (10 points, 8 rebounds) both contributed significantly in the paint as well. Although the Warriors starters matched it well with the Sonics, Seattle had far better bench production on the night, winning the battle of the substitutes 50-13. 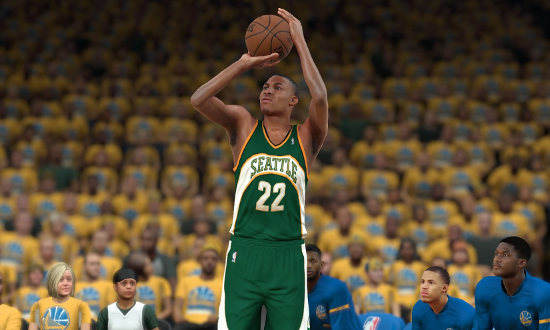 The Sonics will now head to Seattle, as they look to close out the game in Game 6. The Western Conference Finals will come down to a Game 7, as the Warriors edged out the Sonics 107-104 in Game 6. With Stephen Curry fouled out once again, Kevin Durant stepped up when it mattered the most. KD poured in 32 points - off 14-25 shooting - while also picking up 6 rebounds and 4 assists. Klay Thompson was also big for the Warriors down the stretch, scoring 24 points on the night. Stephen Curry was once again troubled by Shaun Livingston, as he scored only 14 points and dished off 8 assists, while Draymond Green (10 points, 11 rebounds) registered the only double-double for the Warriors. The Sonics offence once again revolved around Shaun Livingston in the post, and they had immense success with that tactic. Livingston had 37 points, 3 rebounds, 2 assists and 5 steals, as well as a franchise-record 17 made free throw attempts. However, the Sonics may have leaned a little too heavily on Livingston, as Andrew Nicholson (13 points, 7 rebounds), Otto Porter (11 points), and Patrick Mills (10 points, 7 assists) only had minor contributions in the scoring column. Even though the current trend of away winners is in the Sonics’ favour, picking up a Game 7 win in the Bay Area will be a monumental task. The Sonics have ended the Warriors run of dominance, winning 103-96 in Game 7 of the Western Conference Finals. Golden State looked ominous early, taking a 32-23 lead at the end of the 1st quarter. 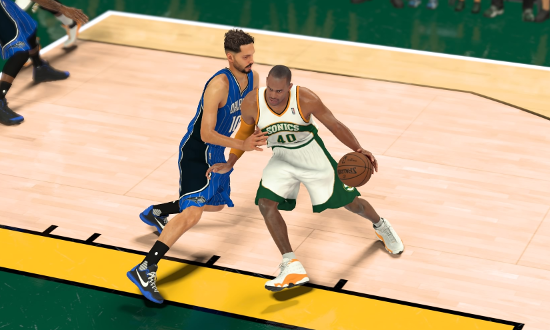 But the Sonics returned in kind in the 2nd, dominating the quarter 33-18. From there, the Sonics employed a smash-mouth approach on offence, which consequently gave Stephen Curry, Draymond Green and Joffrey Lauvergne foul trouble for most of the game. Andrew Nicholson was the top scorer for the Sonics, as he put up a double-double (17 points, 14 rebounds). However, the key player of the game ended up being Boban Marjanovic. The big Serbian centre brought great intensity off the bench, tallying 16 points and 8 rebounds. Aussie duo Patrick Mills and Andrew Bogut both scored 13 points each, while Otto Porter managed 12 points, 5 rebounds and 3 steals. With their high-profile teammates in foul trouble, it was up to Kevin Durant and Klay Thompson to steer the Warriors to a 4th consecutive NBA Finals appearance. Durant ended up with 23 points, 10 rebounds, 5 assists, 1 steal and 3 blocks, while Thompsons had 19 points, 6 assists, 3 steals and 2 blocks on the night. Draymond Green (7 rebounds) and Joffrey Lauvergne (14 rebounds) both did an admirable job - despite foul trouble - scoring 15 points each, but Stephen Curry struggled throughout the night. The reigning Finals MVP only scored 13 points off a woeful 5-19 from the field. 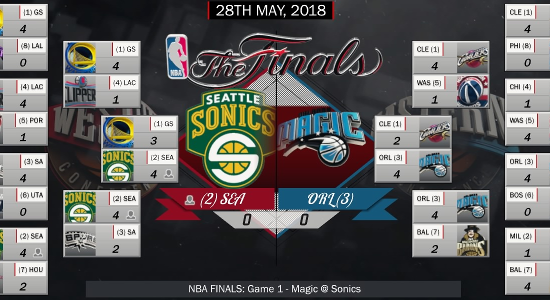 The Sonics will now go to the NBA Finals and play the team with the other Cinderella story of the NBA Playoffs, the Orlando Magic. Congrats on making the Finals! Looks like it was hard-fought, but the good guys won in the end. Scrolling down, I was definitely nervous to read that the Warriors had forced a Game 7. The Magic seem to have had an improbable run with that lineup, though maybe that speaks volumes about the Eastern Conference in this reality, too. I have a feeling the clock is about to strike midnight, though. Andrew wrote: Congrats on making the Finals! Looks like it was hard-fought, but the good guys won in the end. Scrolling down, I was definitely nervous to read that the Warriors had forced a Game 7. I had several moments of complacency in the WCF. After Game 2, I thought "cool, I might be able to sweep these guys." Sure enough, the Warriors are an excellent team. I think what the Magic have on their side is that they're a great defensive team. Ibaka, Harkless, Biyombo, and even guys on the bench like Payton and Gordon, they have a lot of talent defensively. 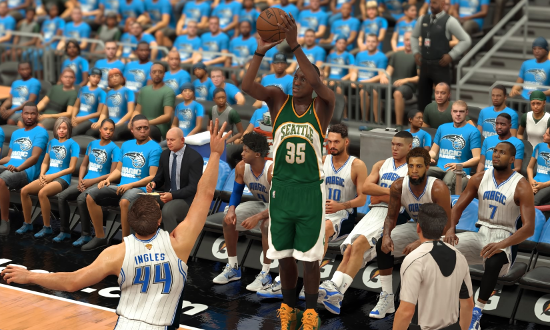 The Sonics dominated the second half in Game 1, as they defeated the Magic 109-85. The Sonics held a narrow 41-38 lead at the major break, but completely overwhelmed the Magic in the 3rd quarter, outscoring the Eastern Conference champions 39-22. Arron Afflalo was the main contributor to the Sonics’ big second half performance, scoring 19 points, while shooting a hot 5-7 from beyond the arc. Otto Porter and Dion Waiters were also significant contributors, with 17 points each, while Patrick Mills (14 points, 10 assists) and Andrew Nicholson (10 points, 13 rebounds) both tallied double-doubles on the night. On the other side of the court, the Magic only had two players in double figures, with Serge Ibaka (18 points, 4 rebounds) and Evan Fournier (16 points, 3 assists) the only Orlando players to have any significant impact on the scoring sheet. 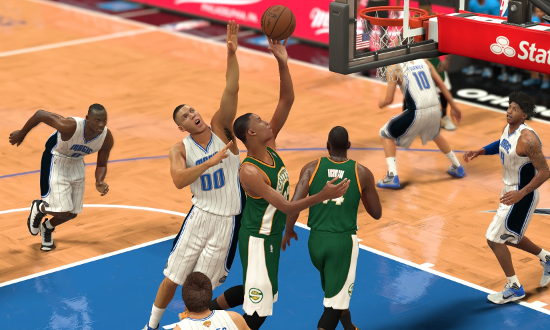 The Sonics once again came up big in the second half, in their 108-84 blowout of the Magic. The game stayed close at the end of the 3rd quarter, but the Magic once again lacked the staying power, getting blown out in the 4th by 36-16. 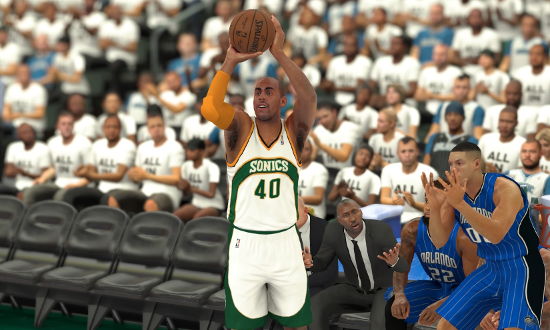 Arron Afflalo once again had the hot hand for the Sonics, scoring 24 points, including 4-5 from beyond the arc. Otto Porter once again played an important supporting role, with 16 points and 5 rebounds, while Patrick Mills and Dion Waiters scored 14 points each. Serge Ibaka top scored for the Magic again, as he tallied 17 points and 6 rebounds. Elfrid Payton made the most of his introduction into the starting lineup, with 14 points and 3 assists, while Mario Hezonja (11 points, 4 assists) and Evan Fournier (10 points, 4 assists) had modest contributions from the wing. 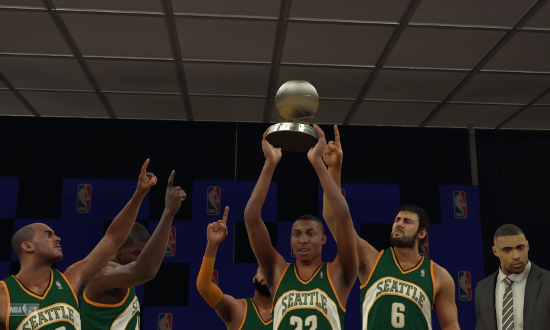 The Sonics are now one game away from the Larry O’Brien trophy, after a comprehensive 113-80 over the Magic in Seattle. Seattle got the bulk of their points from Tony Snell (25 points, 5 rebounds) and Otto Porter (21 points, 7 rebounds) in Game 3, as the Magic had no answer for them at the small forward position. Andrew Nicholson also did well against his former team, tallying 19 points and 7 rebounds, while Arron Afflalo continued his hot scoring run with 17 points. In fact, Afflalo’s run has been so great that Marc J. Spears reports that the Sonics two-guard has shot 69.2% from 3-point range during the Sonics current win streak. For the Magic, Evan Fournier offered the most resistance on the offensive end, with 18 points and 5 assists on the night. Unfortunately for Orlando’s top scorer, there wasn’t a whole lot of offence outside of him, with J.J. Barea (12 points) and Joe Ingles (11 points) the only other double-digit scorers for the Magic. 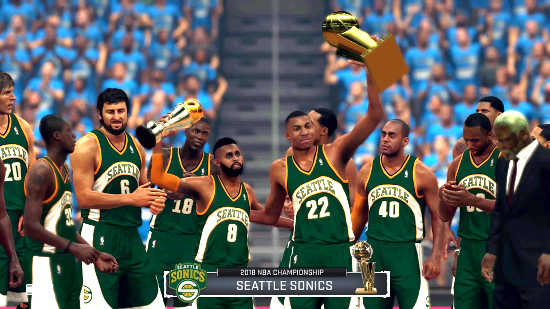 The Sonics became the 2018 NBA Champions, after beating the Orlando Magic 97-88 in Game 4. However, the Magic were anything but pushovers. Heading into the 4th quarter, they held a 68-63 lead. 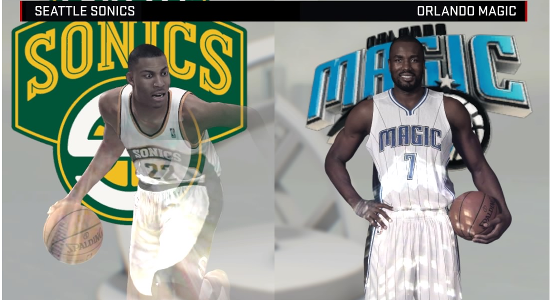 But the Sonics once again blew the Magic out of the water in the 4th, outscoring the home team 34-20 in the final period of the game. Otto Porter was the main catalyst for the 4th quarter run. The Great Palindrome scored 13 of his 20 points in the decisive quarter. Arron Afflalo continued his hot shooting streak, scoring 16 points off 6-9 from the field, while Patrick Mills (14 points, 10 assists), Shaun Livingston (13 points), and Andrew Nicholson (12 points, 7 rebounds) all played a role in securing the sweep. For the Magic, Aaron Gordon was their spark plug off the bench. The athletic forward tallied 14 points, 6 rebounds, 2 steals and a block, leading his team in a relatively low-scoring game. Serge Ibaka had 11 points and 7 rebounds, while Marvin Williams put up 10 points and 4 rebounds off the bench. 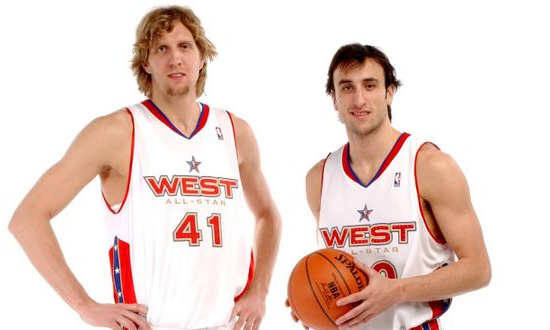 Dirk Nowitzki and Manu Ginobili have both called time on their NBA careers. Two of the greatest international players to ever play in the league, both players helped path the way for European and South America players to become an integral part of the NBA. Among other retirees, former Sonics expansion draft picks Chris Andersen and Nick Collison have also called it a career. 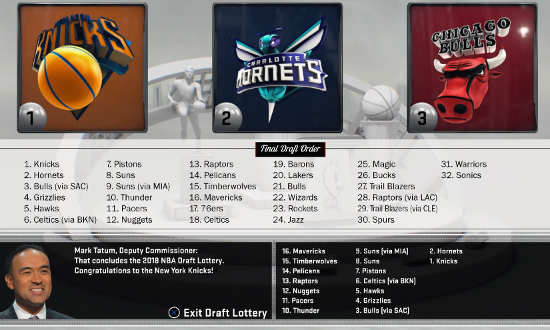 Draft Lottery 2018: The Knicks Get First Overall Pick! The Knicks, Hornets and Bulls were the major winners in the 2018 Draft Lottery, while the Suns will also be prominent with back-to-back picks at 8 and 9. Congratulations on the title! Reminds me of the early 2000s with the West being a bloodbath, then a doormat East team gets slaughtered in the Finals. Knicks with the #1 overall pick...next Ewing incoming? Congrats on the championship! Well-earned, what with that run through the West. Not surprised that the Magic weren't as difficult, though it's good that they gave you one competitive game to keep things interesting, and in the title-clinching game to boot. Awesome to see Patty Mills get Finals MVP honours. Admittedly not the most eye-popping numbers for a Finals MVP, but once again, it reflects the overall team effort. Cool nevertheless. Would you say that this has been one of your most rewarding championship victories and franchise experiences? Seems like the Warriors series was the real finals. Congrats on the sweep + championship. Awesome achievement with an expansion team.